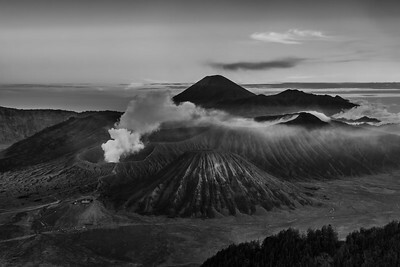 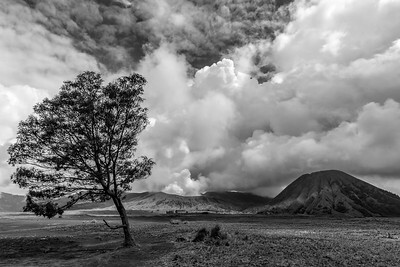 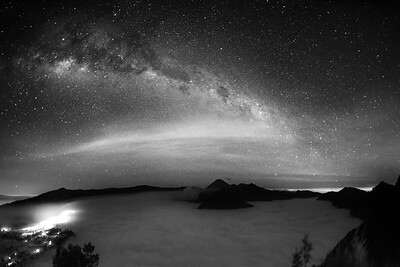 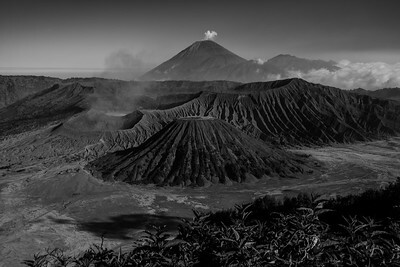 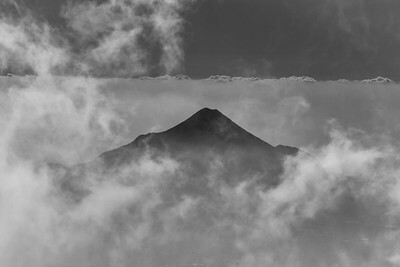 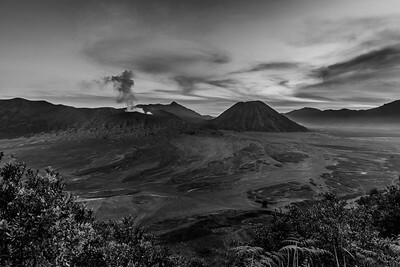 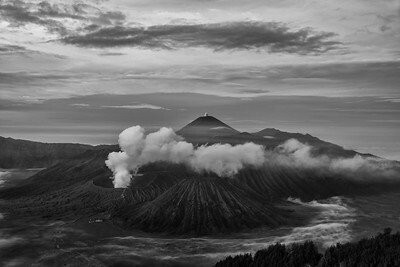 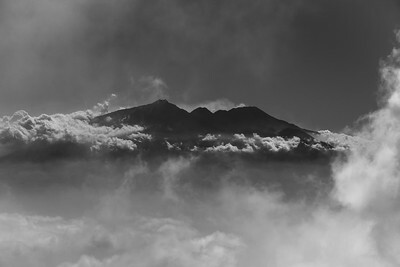 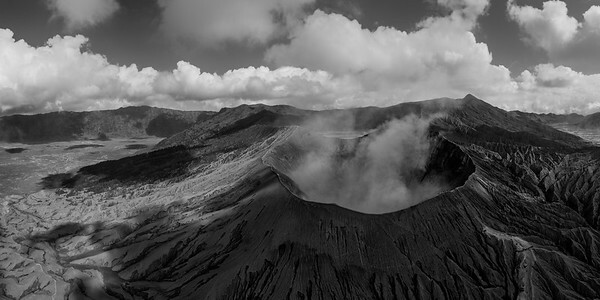 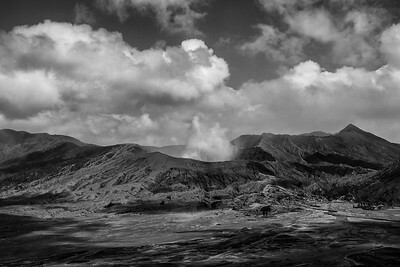 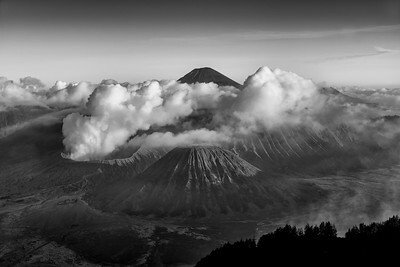 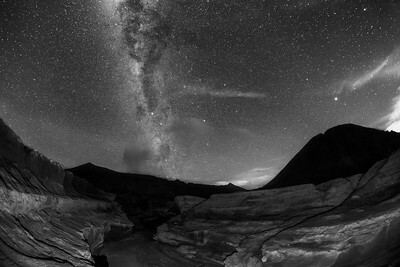 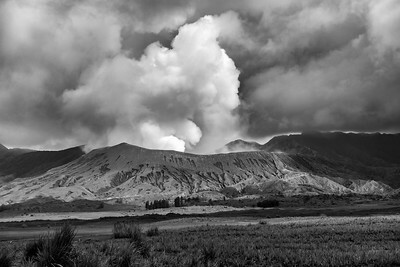 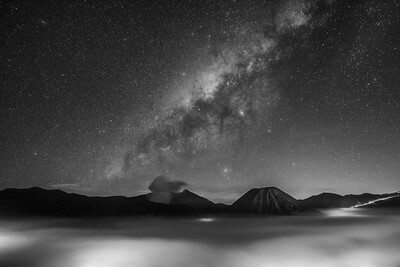 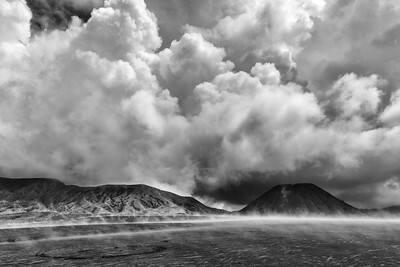 Black & White series of Mt Bromo, Java, Indonesia. 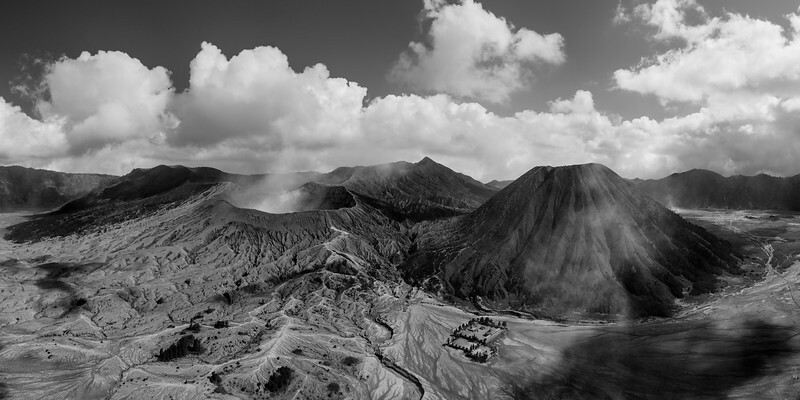 During my month long stay at Bromo I shot tons of footage. 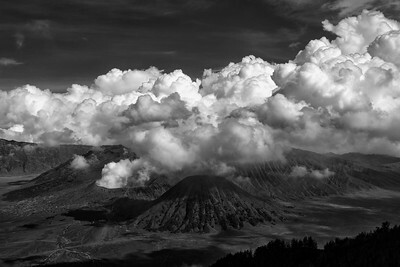 Finding the right conditions wasn't easy though, but chasing light and nice clouds was never more fun than here. 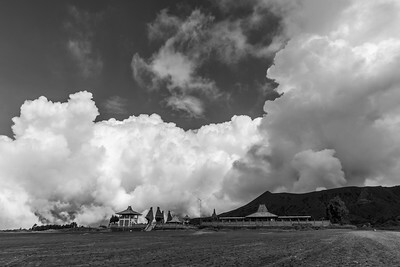 I managed to rent a motorbike, so was free to drive around. 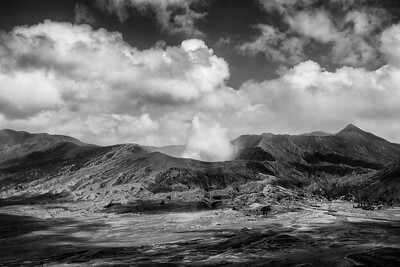 I tend to stick to color images, but sometimes it's fun to work in black and white. 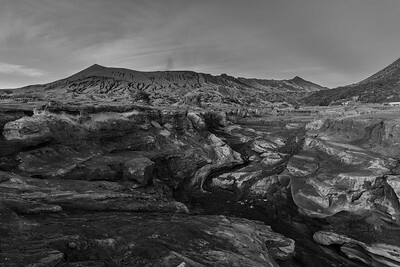 This area with all its patterns and structures is just so ideal for it.